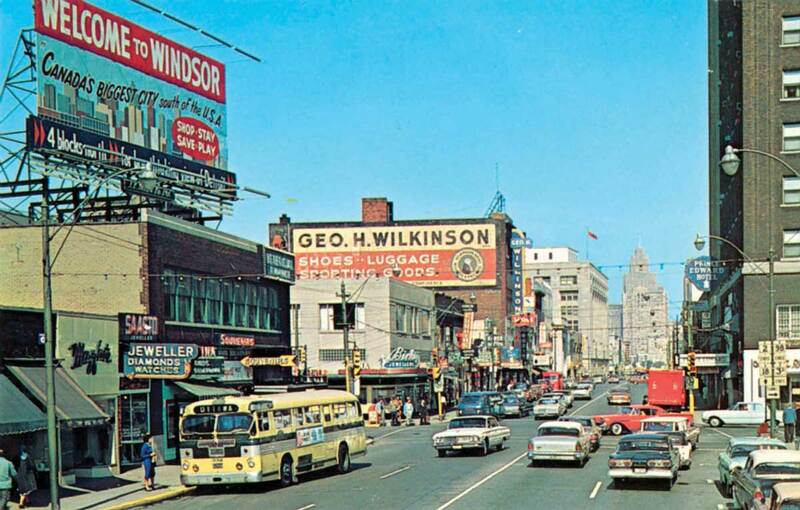 Are you pining for the good ole days when the streets of downtown Windsor were alive with people bustling between all those wonderful department stores, jewelry shops, fur boutiques and movie houses? 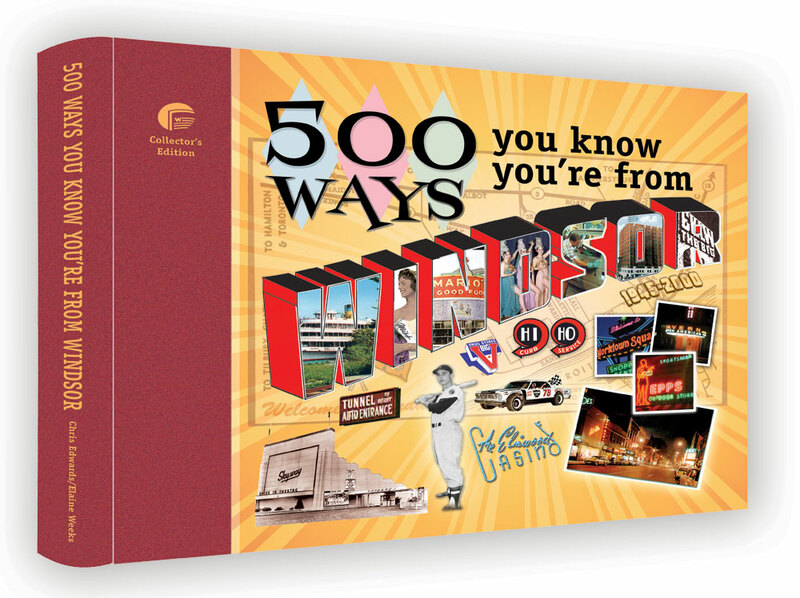 Well, you can still go back to those heady days by rifling through the pages of our latest book, “500 Ways You Know You’re From Windsor”. In the featured photo above, you can see once familiar landmarks including Birks Jewellers, the George Wilkinson ad and a billboard welcoming U.S. travellers to our city as they exited from the Detroit/Windsor tunnel. You can also purchase directly from us! We’d be happy to sign them for you. 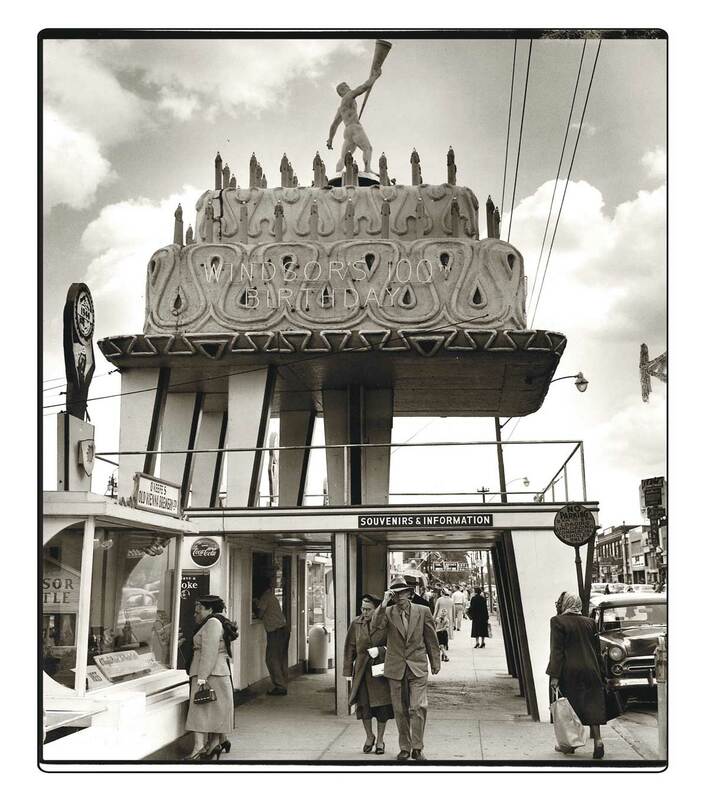 This entry was posted in Lost Buildings, People, Windsor Now, Windsor Then and tagged border city, bustling, department stores, Detroit, downtown, lights, mid-20th century, neon, nostalgia, Petula Clark, shopping, song, tunnel, vintage, Windsor. Bookmark the permalink.